Lisa has been a licensed and board certified acupuncturist since 2007. She earned her master's degree in Oriental medicine at the Midwest College of Oriental Medicine in Chicago, graduating with honors, and her bachelor's degree in sociology from Beloit College. Lisa's approach to health and wellness follows the holistic tradition of Oriental medicine and focuses on balancing the body and mind. She continues to study advanced acupuncture techniques and other healing modalities to offer her clients comprehensive healing support. Available by appointment Tuesday, Wednesday and Friday. Rebecca has been a licensed-board certified acupuncturist since 2007, after earning her master's degree in Oriental medicine, graduating with honors, and her bachelor's degree in nutrition at the Midwest College of Oriental Medicine. She also earned a bachelor's degree from DePaul University in public policy. She has completed advanced acupuncture training in Beijing, China, and served as a volunteer acupuncturist through the Bumi Sehat Birthing Center in Bali, Indonesia. Rebecca says what she loves most about her work is that Oriental Medicine allows her to offer a variety of healing techniques for a diverse set of health conditions— from anxiety to infertility. As Healing Foundations co-founder, Rebecca hopes to create an environment where individuals can step away from the every day stresses of life and feel relaxed, safe, important, accepted and listened to. Rebecca is the proud mother of two little girls and also enjoys exploring the city and world with her family. Available by appointment Monday and Thursday. Revital provides a unique style of healthcare and offers a comprehensive set of services for improving physical, mental or spiritual health. 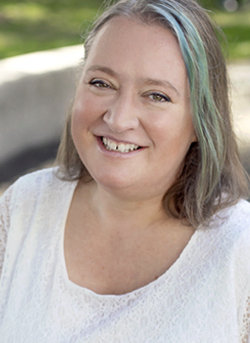 Prior to discovering her interest in integrative holistic medicine, Revital arrived in Chicago in 1995 to pursue a graduate degree in Sociology at the University of Illinois and worked a number of years in medical marketing research. Shifting gears and studies, she first became a certified Asian Body Therapist in 2005, and then in 2008, a licensed and board-certified Acupuncturist. In complement to acupuncture, Revital specializes in Tui-na (Chinese medical massage), with additional training in Pediatric Tui-na. This style of massage influences the body's energetic flow and circulation in the same way as acupuncture by using massage and manual techniques instead of needles to activate acupoints. She is also a practitioner of Thai bodywork, known as Thai Yoga Massage, having studied this modality in both Chicago and Chiang Mai, Thailand. As an elementary school teacher for many years, Revital enjoys and is accustomed to working with youngsters of all ages. When visiting the clinic with your child, you will learn tools and techniques to use at home; equipping parents to heal and maintain their children's health is a cornerstone of Revital's pediatric practice. Available by appointment Monday, Wednesday, Thursday, and Saturday. Clint has been a Reiki practitioner since 2015; known for bringing his clients a uniquely pragmatic and accessible approach to this subtle healing modality. Available by appointment Wednesday through Saturday. Available by appointment Mondays 12-5pm, Wednesdays 2-6pm.